To ensure safe sanitation and pure drinking water for the people of the working area. – Behavioral change of grassroots people in terms or hygienic practice. 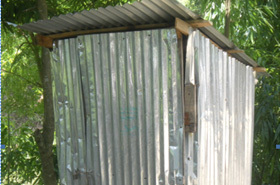 – Access to safe water and sanitation. – Ensure women’s involvement in the project. YPSA-Hygiene Sanitation Water (HYASAWA) Program has been working for about two decades for ensuring safe water and sanitation with a view to improving the public health status of the disadvantaged group of the community living in the un-served and underserved areas of Sitakund. 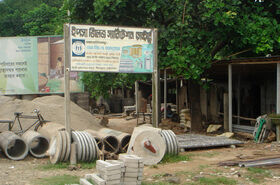 Mirshari upazila under Chittagong district. YPSA- HYASAWA Program is being implemented in sitakund Upazila since 1993 in an integrated approach. Integrated approach in water and sanitation means integration of functions that’s to be performed by the community to prevent the spread of water borne diseases with the limited resources. At this moment YPSA- HYASAWA is working with 354 households in 1 village under 1 Union as per the project target for 2 years. 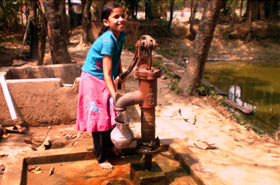 Safe Water Supply: Awareness rising among the community people and assist to install alternative water resources to ensure safe drinking water for the grassroots people is the main activity of water and sanitation program. The program has been designed keeping a balance between implementing agency and community people. Implementing agency assists technologically and community people participate in cost sharing and supervision processing. YPSA is implementing continuous awareness raising activities on harmful effects of arsenic among the rural poor. YPSA also detecting the arsenic contaminated tube wells of the working area vis-à-vis providing alternative sources of safe drinking water for the people of those areas where arsenic contamination in ground water is above the maximum permissible limit of 0.05 mg/liter. illage Development Committee is formed in every village of the working area ensuring representatives of different stakeholders from the community like, Social leader, Teacher, Religion leader, women representative, Local govt. personnel etc. YPSA-HYASAWA program is being supported by NGO Forum & YPSA own fund. It has been implemented through integrated approach with YPSA’s other program. YPSA’s working area is Arsenic contaminated area so there is scope to take special project on it. Although there is some achievement of HYASAWA program, it we want to work in vast scale it needs to be reorganized. It has been observed that for HYASAWA program financial and technical support was not sufficient. Here it is very essential to allocate more fund and technical support to reach the goal of the HYASAWA program. We have planned Achieve MDG for to increase 50% population coverage safe water through 2015 by 100% Sanitation Coverage setting up of Arsenic Removal plant. 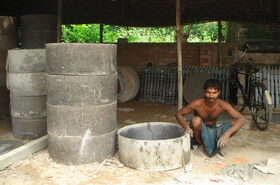 Also installing of Ring well in the arsenic effective area. In the same time As a result which will reduce 80% of child mortality rate by 2015 with in working area.